Photos from the first day of school for 2013-2014 at Sinclair Christian Academy, Baldwin County Schools, Georgia Military College Prep and John Milledge Academy. 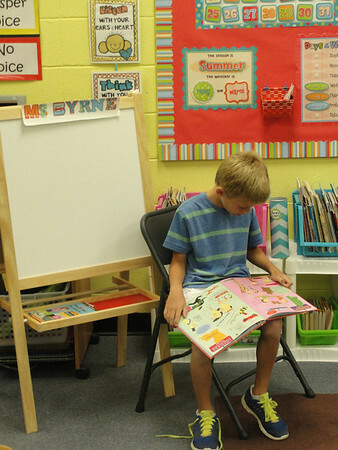 A John Milledge Academy second-grader in Mary Byrne’s class takes advantage of reading time before lunch. Thursday marked the first day of school for JMA students.